Tailor Content – You may have heard the adage that your resume should be tailored to your audience, which is true. But customizing your resume may simply entail reordering or swapping out bullet points. 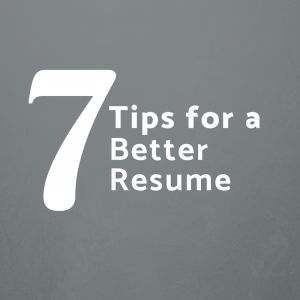 Remember, a resume is a summary of your relevant experience, not necessarily all of it. Emphasize Results – We don’t just want a summary. We want to know whether you generated results from your work. If the person replacing you could copy and paste your resume bullet points into their resume, that’s probably a sign your bullet points need to better emphasize your individual contributions in the role. 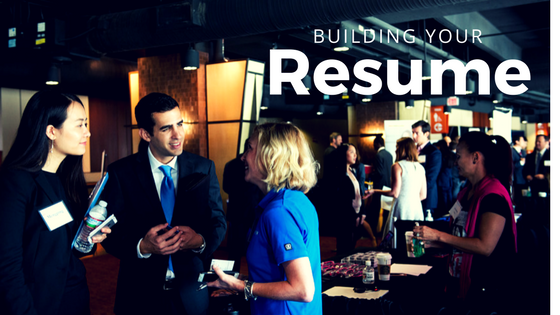 Avoid Redundancy – Think of each line on your resume as a valuable piece of real estate. Consider the incremental value that each line on your resume provides for you as a candidate. If you have performed the same task in multiple roles, is it necessary to list that same task more than once on your resume? Likely not. Show Balance – We want to see a “balanced” candidate – someone who has been strong in the classroom and in the workplace while participating in extracurricular activities and having unique interests outside of work. Consider creating an “Additional” section to detail your activities and interests for use as a potential conversation starter. Utilize White Space – Great resume content can only be great if a reader can easily access it. That’s where resume readability comes into play. Don’t forget to use your white space effectively. A resume is not about cramming as much you can onto the page. Rather, give your content some space to breathe. Enlist Proofreaders– Perhaps the most important element of a resume is that it is free of errors. A single spelling, grammatical, or formatting error can hurt even the most impressive resume. Have multiple individuals proofread your resume. Convey Personal Brand – What do you think of when you think of great global brands like Apple, Nike, or Google? What words come to mind? Now, when we read your resume, what words do you want to come to mind about you? Have a peer give your resume a 30-second review and see if the words you want to pop for a reader, actually do. Remember, your resume is important, but it’s only one data point for you as a candidate. Years of work experience give only one sense of you as a candidate, so use your resume to make the quality of those years really stand out!